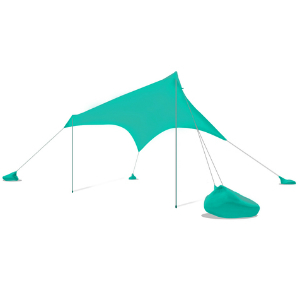 The Otentik beach sun shade tent shelter is a new fun option that will provide protection for the whole family. 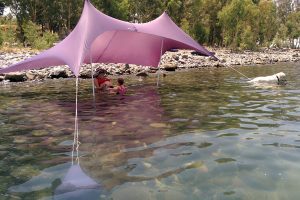 They are not only easy to set up, but once the are up you do not have to move to create shade – just shuffle the poles to create your space. 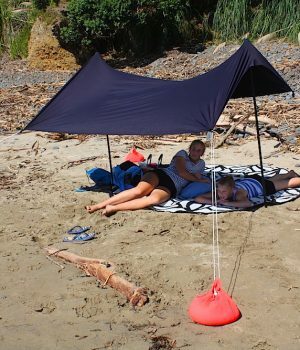 Otentik beach sun shade tent shelter range has changed the way people have fun outdoors. 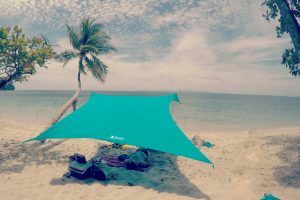 The trick was developing a very simple and practical idea into an eco-friendly, simple product that is also beautiful to lay eyes on. 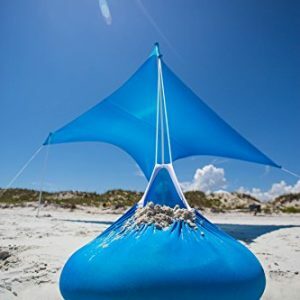 The idea was to create an effective, family sized beach tent that would be both easy to carry and also easy to use. 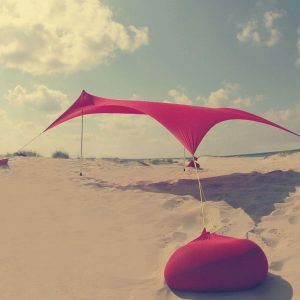 A product that would protect its users from harmful UV rays and be a joy to look at. 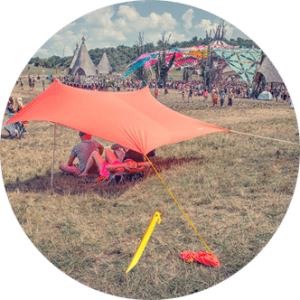 Practicality – easy to carry, setup & pack down. Fits in carry on luggage. 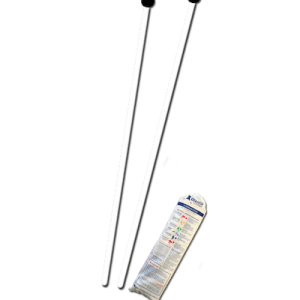 Quality – provide years of faithful service and have no manufacturing flaws. 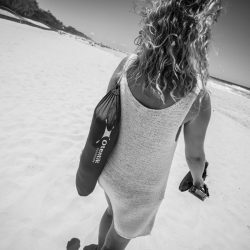 Efficiency – offer the highest possible UV protection*. Aesthetic – chic sporty look that will turn heads. No corners were cut, and hard work and perseverance have furthermore than paid off. 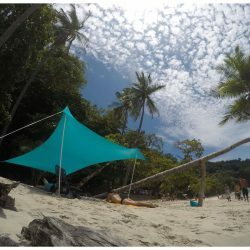 *Regardless of the UV protection our products offer, we strongly urge our beach tent users to fully protect themselves against the harmful rays of the sun. 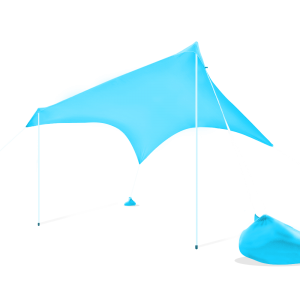 All users need to also consider the slip, slop, slap application. 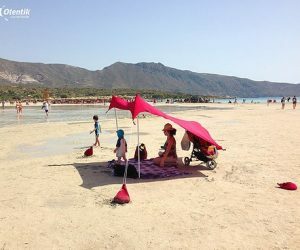 Otentik beach tents come in a variety of sizes designed to meet the different needs of users. 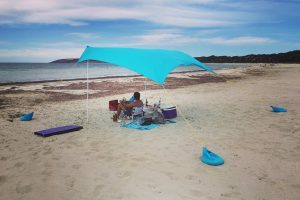 The original beach canopy was designed for a family of four. 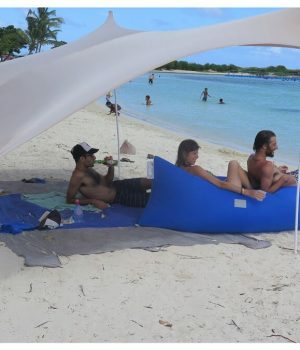 Then the larger big beach sun shade tent shelter that will provide protection up to six people was added to the range. 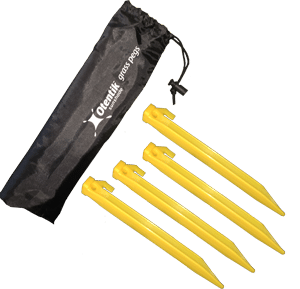 All you need to do is lay them out, fill the anchors with sand, and pop-up the supporting poles. 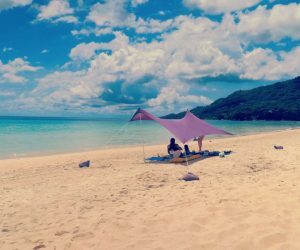 No muss no fuss, in minutes you are busy having fun, and when you are done you just reverse the process. 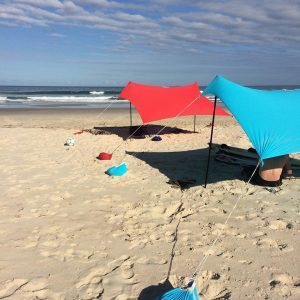 All of our beach tents weigh around 2 kgs and come in a sleek carry bag with straps. Throw it over your shoulder and you still feel like there’s nothing there. 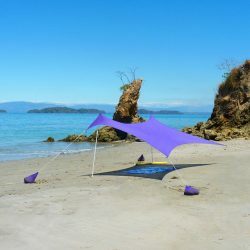 Our beach sunshade tent shelters fit easily into carry on luggage and still leaves you room for plenty of other things. 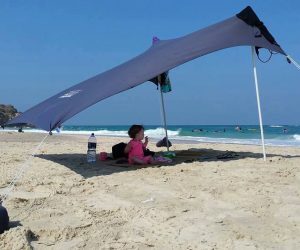 To check out Otentik beach sunshade tent shelter range – click here.